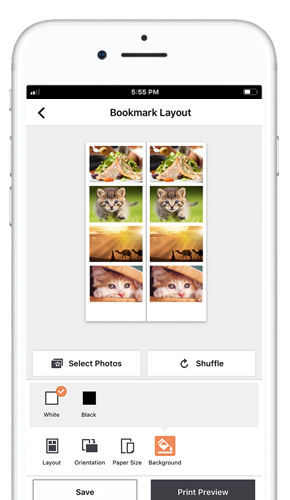 Download the SELPHY Photo Layout App* for a fun and easy way to arrange your pictures into unique layouts. Flex your creative muscles by selecting from a range of customizable formats, including bookmarks, borders and labels. You can even transform your photos into a collage-inspired print by displaying up to 8 images on a single page. 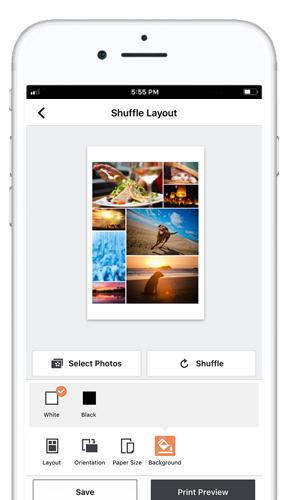 SELPHY Photo Layout is an application to create/save layouts using images stored on your mobile device. Format your images with or without a border. Arrange up to 8 same-sized images on a single page. Snuggle up with your favorite book by creating photo-themed bookmarks. Mix up your photos into a random layout. 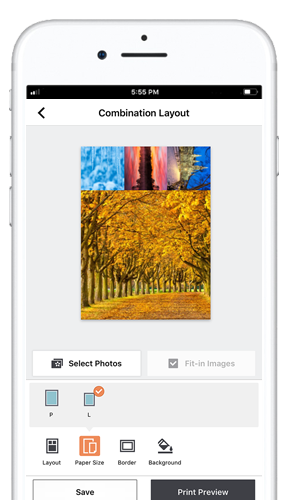 Display your images in a combination of different sizes. 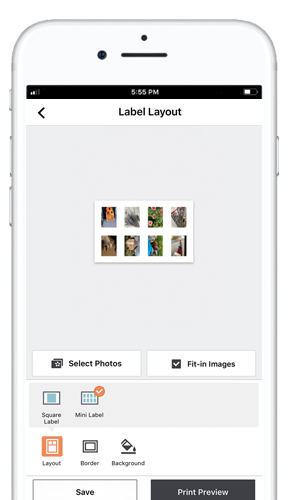 Create square or mini labels with your favorite photos. 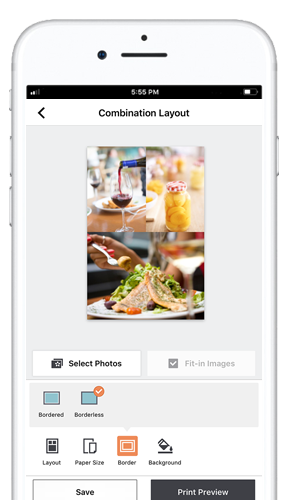 Download the SELPHY Photo Layout App and get started. * Requires an Internet connection, the Canon SELPHY Layout app and the Canon PRINT Inkjet/SELPHY app, available for free on the App Store and at Google Play. Compatible with iPad, iPhone 3GS or later, and iPod touch 3rd generation or later devices running iOS 7.0 or later, and Android™ mobile devices running Android 2.3.3 or later. Your device must be connected to the same working network with wireless 802.11 b/g/n capability as your printer. Requires a compatible social media account and is subject to that social media account's Terms of Service. Certain exceptions may apply.